Britain's Princess Diana's old car is expected to fetch £25,000 in an auction today. Britain's Princess Diana's old car is expected to fetch £25,000 in an auction. 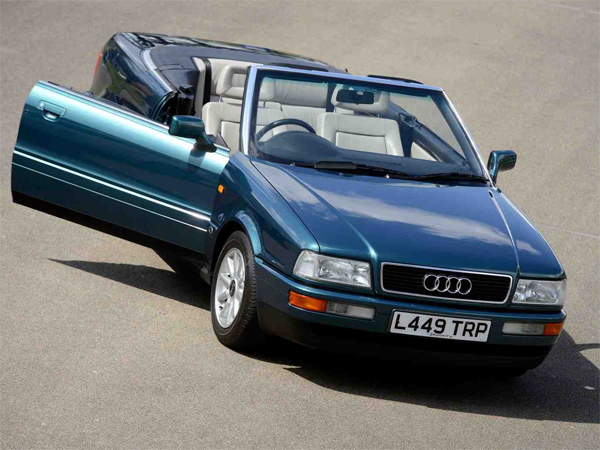 The late Princess of Wales - who tragically died in a car crash in August 1997 - will have her former 1994 Audi cabriolet 2.3 E auctioned off by COYS at their traditional Blenheim Palace sale in Oxfordshire on Saturday.Diana was regularly seen behind the wheel of the vehicle as she drove her children Prince William and Prince Harry around London in 1994. The family car is in immaculate condition and boasts a light beige hide interior and metallic Gomera green paintwork, with only 21,000 miles on the clock. It is expected be snapped up by a motor-enthusiast for anything between £20 000 and £25 000. Chris Routledge, Managing Director of COYS, said: "The Blenheim sale has attracted some very high profile cars and presents an extraordinary opportunity for collectors to own significant pieces of Royal history." The hefty price tag comes as no surprise since a tie once worn by the popular princess sold for nearly £4,000 earlier this month. The Escada tie - which is adorned in a gold elephant print pattern - was worn by Diana in public upon numerous occasions. And last year, 10 gowns worn by the late royal earned £862,000 in a private auction, with one dress being sold for £240 000 to a man who wanted to surprise his wife.